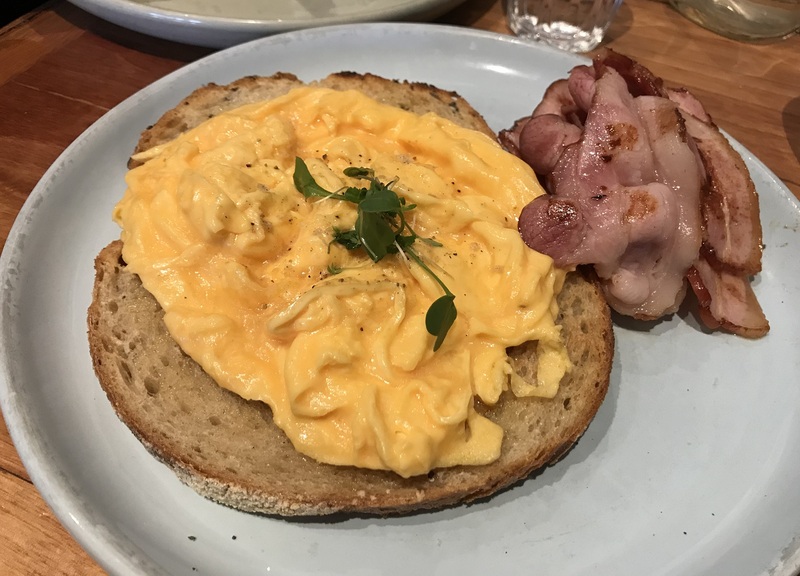 Red Door Corner Store is a large airy popular Northside brunch option... which takes bookings. Sounds too good to be true. 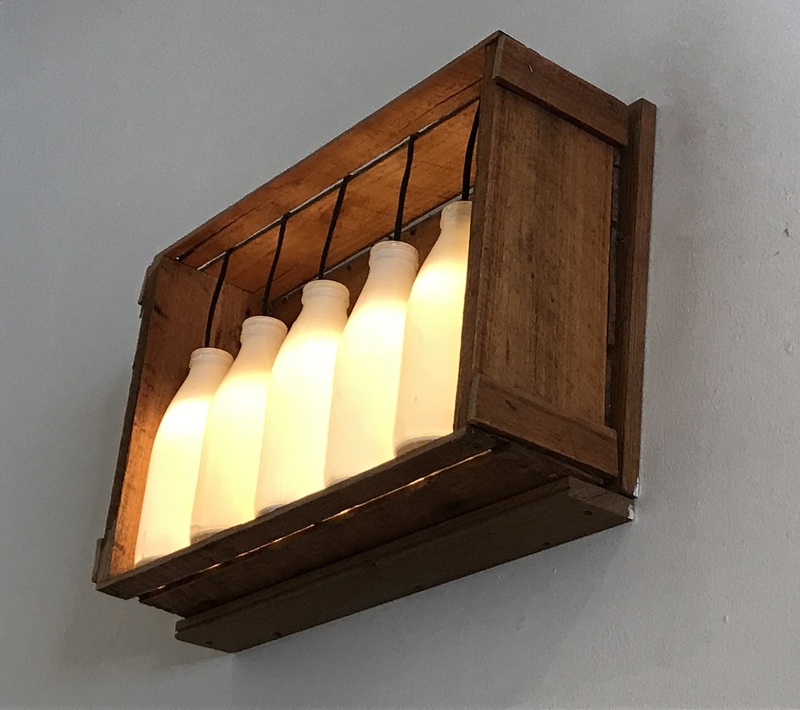 I loved the quirky decorations which make a nod to its milkbar past... especially the milk bottle lights! 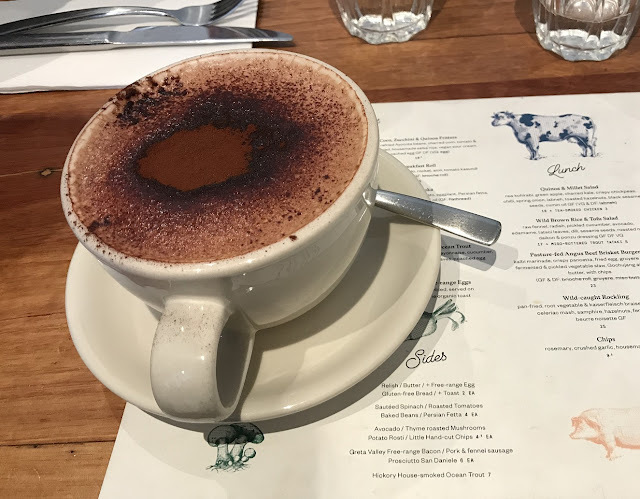 I often find brunch can have such high expectations which often aren’t met... or just miss the mark slightly. I would rate this brunch as one of the best I’ve had in a long time. Every dish was well executed and delicious. The service was friendly and efficient. The kids enjoyed their shared scrambled eggs and bacon... the bacon was perfect - meaty with rendered fat and crispy bits... I may have stolen a taste! 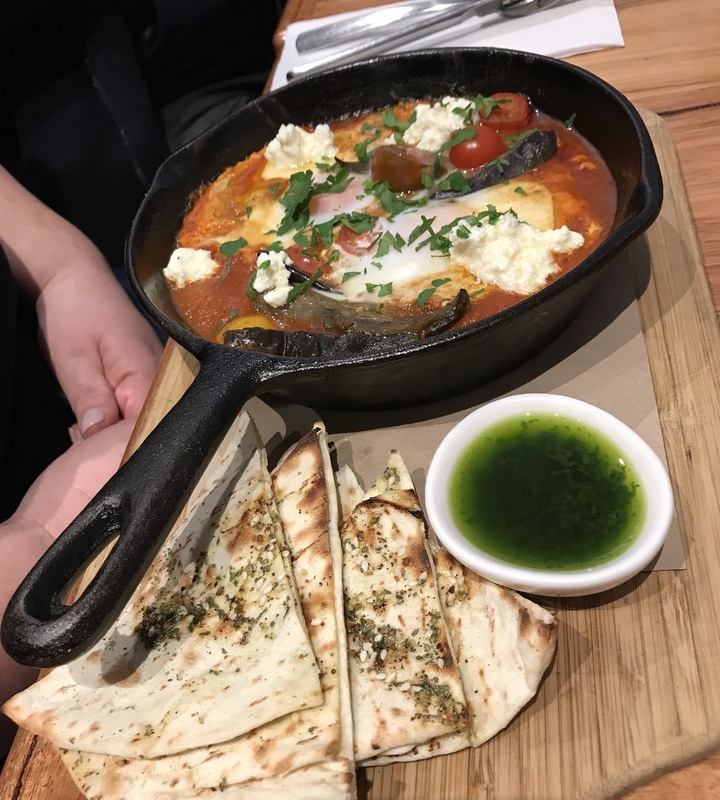 Miss Red enjoyed the Shakshuka - rich tomatoey passata with chorizo, soft eggplant, and feta with zatar flatbread and green chilli oil. The sauce was full and flavoursome. Mr Red demolished his dukkah eggs with crushed avocado, saffron poached pears, feta and herb salad, pomegranate and flatbread. It was rather pretty as well as delicious! 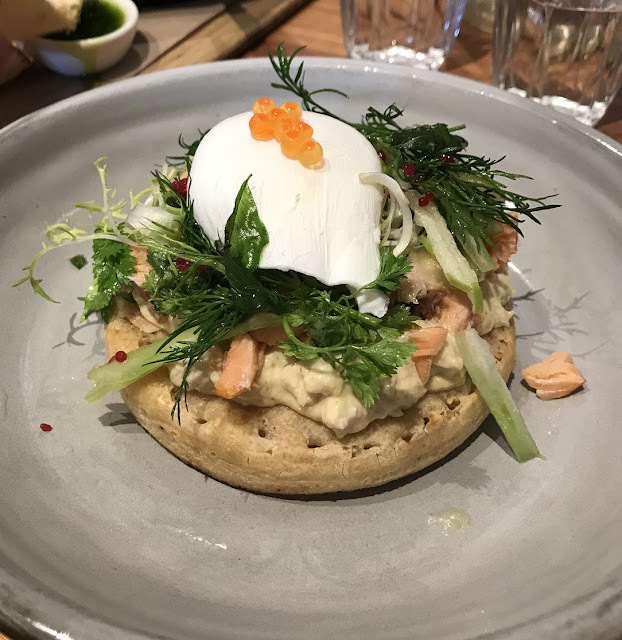 My smoked trout with spanner crab mayonnaise, cucumber, chervil, dill, curry leaves on a house made crumpet minus the bronze fennel (see first pic) was just lovely! The crumpet was light and quite fluffy, and worked well with the delicate trout and crab flavours. 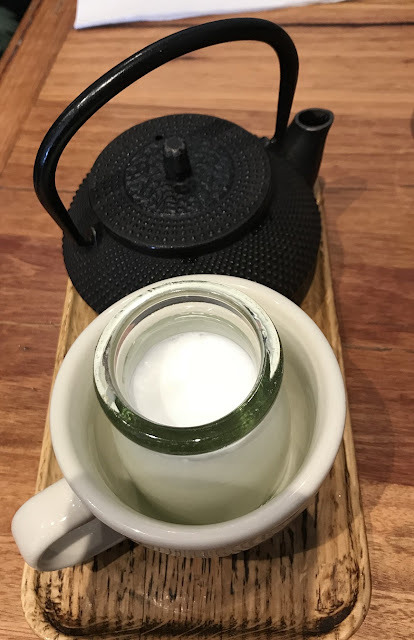 The curry leaves added an interesting flavour that grew on me as I kept eating. The chervil and dill freshened up the richness of the dish, helping to ensure I finished it all! I didn’t want to leave any behind, as I thought I’d regret it later! 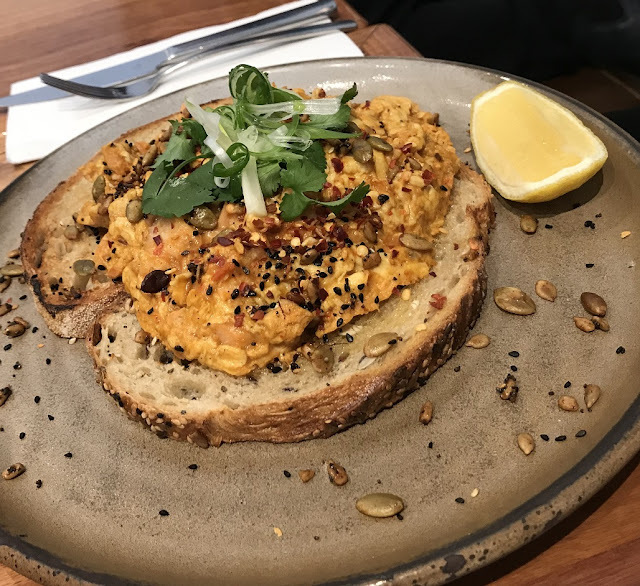 Miss Green ordered the special - the spicy scrambled eggs with hickory house smoked ocean trout, spring onion, coriander, chilli, tomato and toasted sesame seeds on toast. She found it quite spicy but enjoyable! 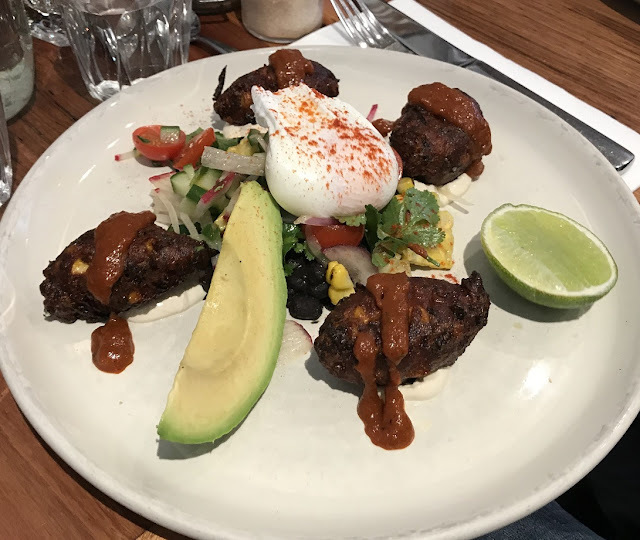 Mr Green loved his quinoa, zucchini and corn fritters with avocado, refried beans, charred corn, tomato and jalapeño salad, house made salsa rojo and poached egg. 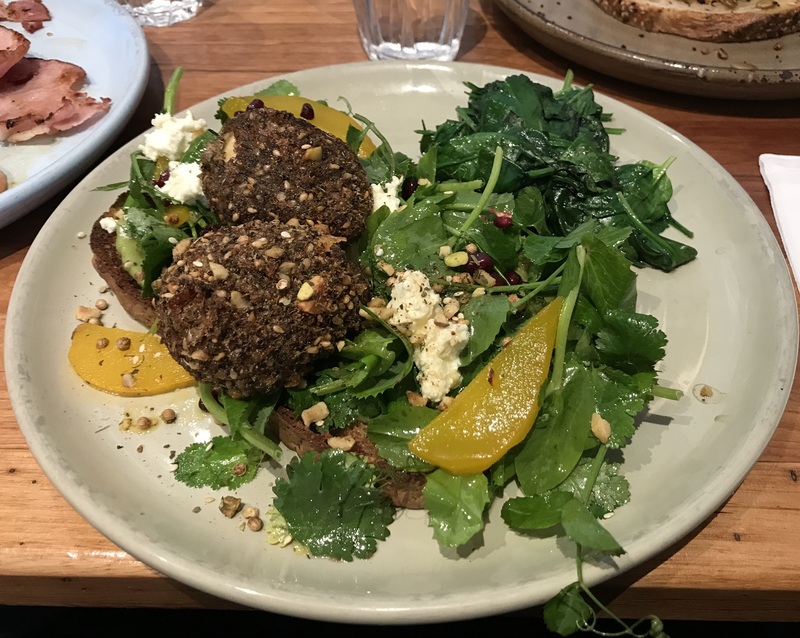 One of the best brunches I’ve had! 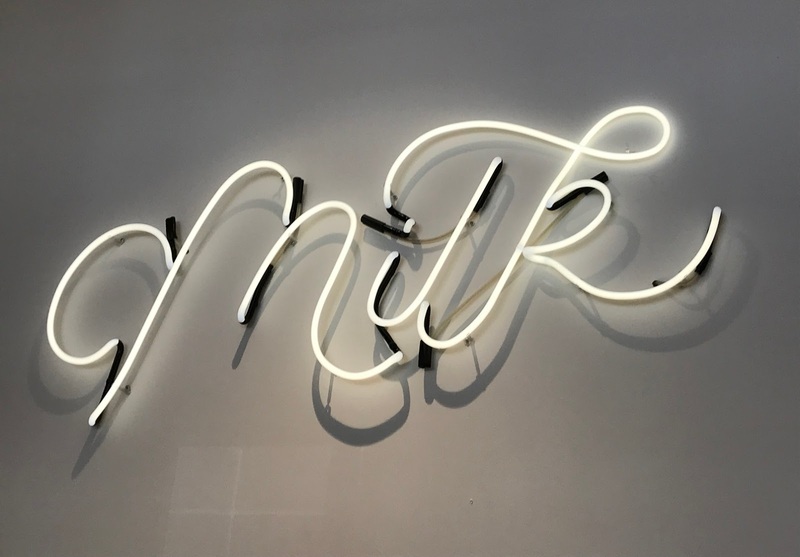 Anyone who has this as their local is very lucky to experience the well-planned and executed dishes! 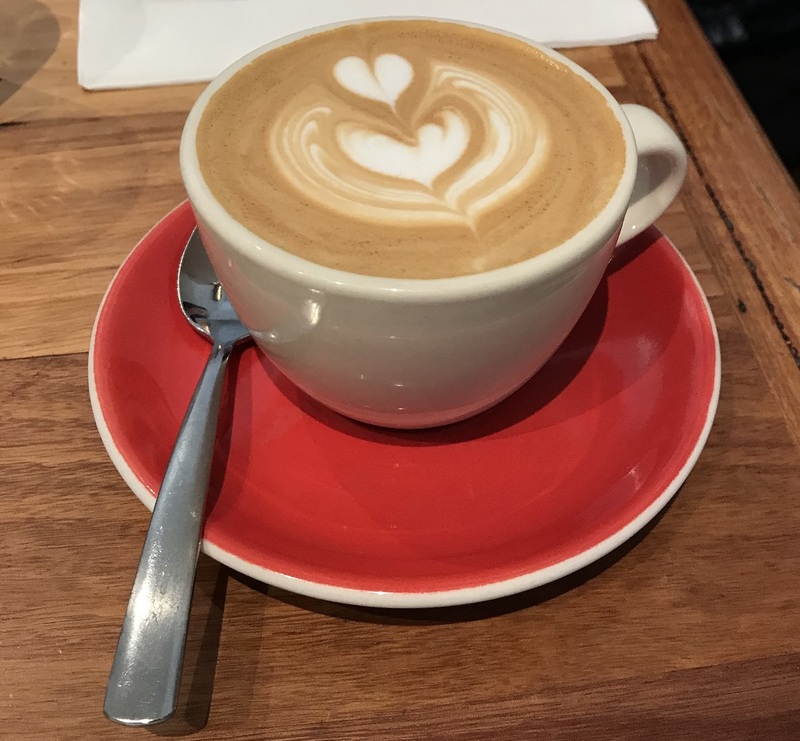 Also have a gander at Snooze's review of Red Door Corner Store. Looks to be yummy... 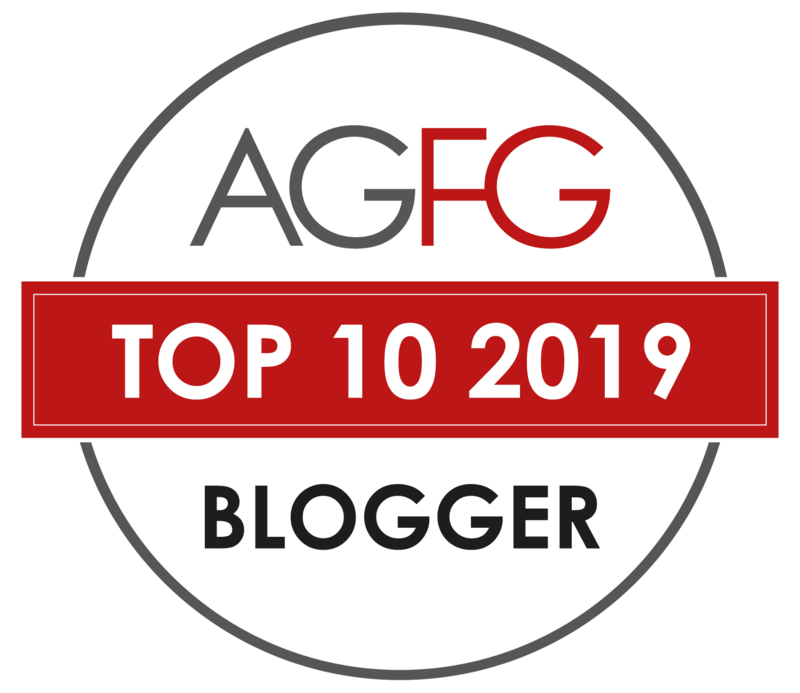 Thank you for sharing the blog !! !